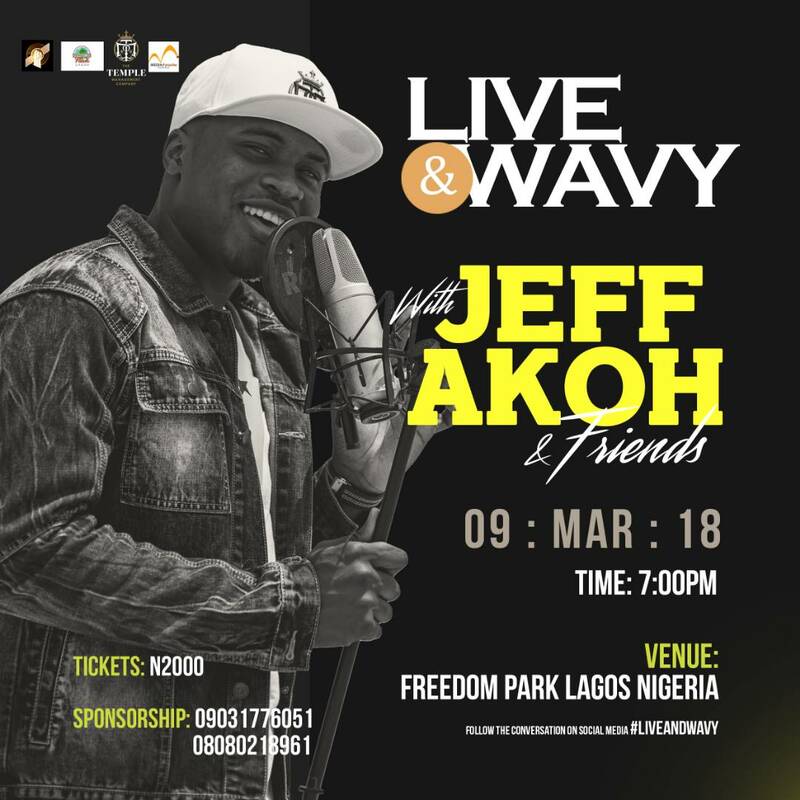 After recording a massive success with the debut edition of ‘Live & Wavy’ back in 2017, the second edition of the concert has been officially announced and scheduled for Friday March 9, 2018; revealing singer Jeff Akoh as the headliner along with several other industry big shots. 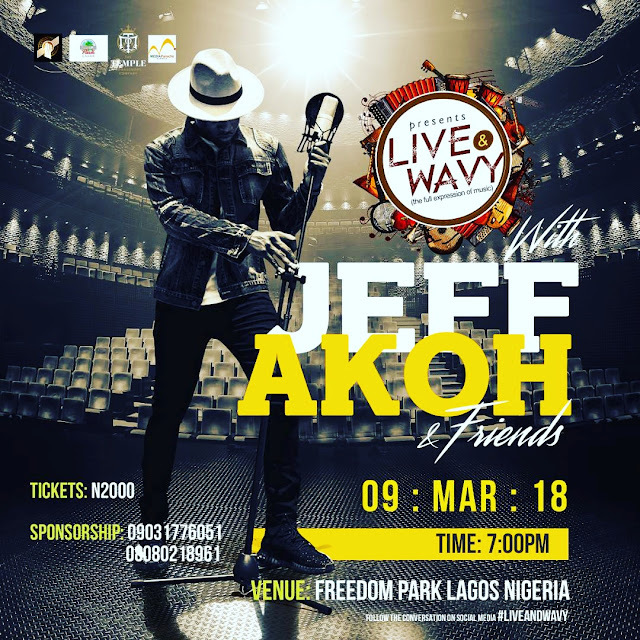 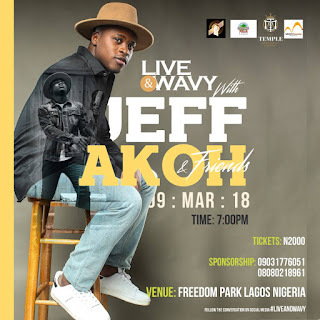 Titled ‘Live & Wavy with Jeff Akoh & Friends’, the upcoming edition will feature live performances from Jeff and some of his industry pals, including Iyanya, 9ice, Terry Apala and a host of others. 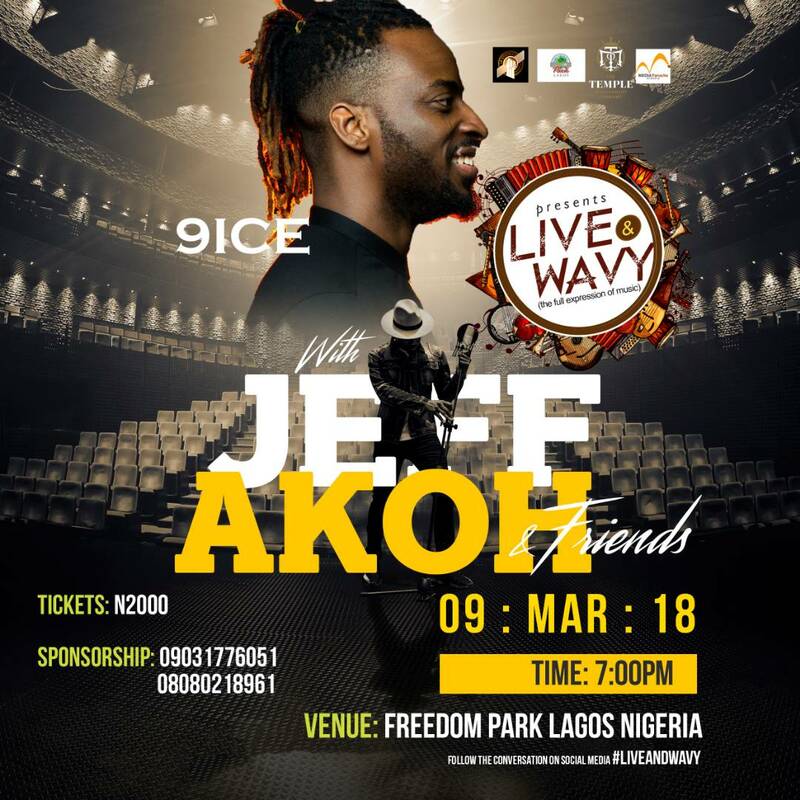 The concert’s organizers have also promised fans there would be segments of the show; specially put together for their amusement – an effort to make the concert a more memorable affair and an improvement over the previous edition. ‘Live & Wavy’ will also feature performances from artists who graced the stage and thrilled the mammoth audience during the concert’s debut edition in 2017, including Johnny Drille, Isaac Geralds and Ric Hassani. Tickets are priced at N2000 and can be purchased at the venue, Freedom Park, Lagos Island before the concert commences by 7:00PM. 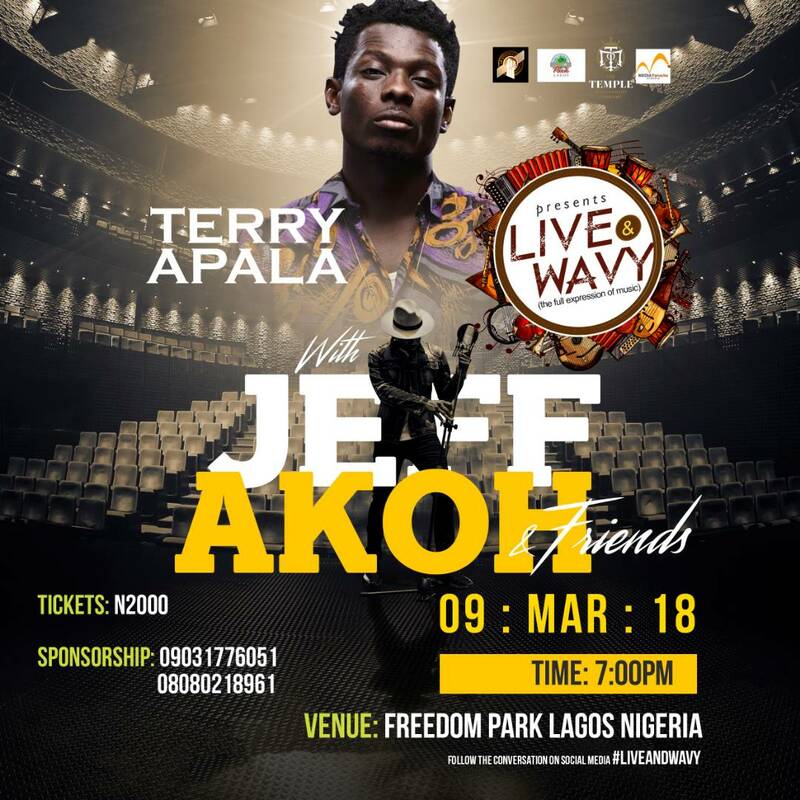 Other noteworthy names, set to serenade fans with live performances include, Bisola Aiyeola, Dotman and Niniola. 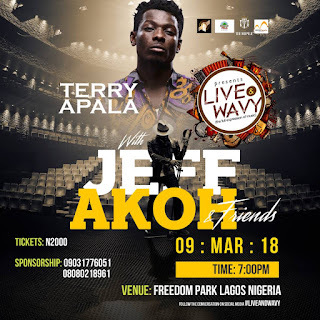 This event is brought to you by 10stringz Production, Media Panache Nigeria and Temple Management.